Colonel in Chief visiting FOB Shawqat. 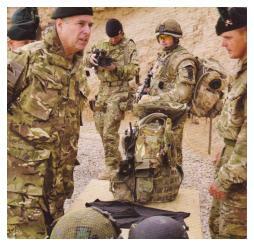 The Colonel in Chief The Royal Irish Regiment, His Royal Highness The Prince Andrew, Duke of York, visited the 1st Battalion The Royal Irish Regiment at Forward Operating base Shawqat, Nad-e'-Ali on 19 December 2010 during the Battalion's deployment on Operation HERRICK 13 in Afghanistan. The Colonel in Chief's visit to the 1 R IRISH Battlegroup included a briefing from the Battalion's command staff on the achievements to date and the planned operations for the remainder of the deployment. 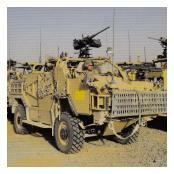 HRH met with soldiers and visited a display of equipment specific to Afghanistan, which included the JACKAL vehicle.